Heat oven to 425°f. Cut butter into small pieces and place in food processor with all shortcake ingredients; pulse until butter is the size of small peas. 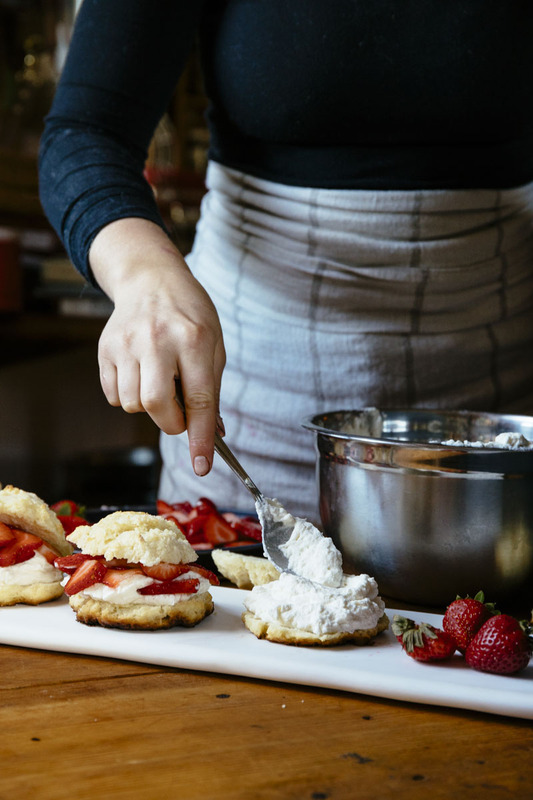 (A few slightly larger or smaller pieces of butter will help the shortcakes become flakey). Transfer to a bowl, make a well in the centre, and stir in milk with a fork, combining until the dough holds together. Do not overmix as this will toughen the biscuits! Using a tablespoon, divide dough into 12 equal mounds on an ungreased baking tray. Sprinkle a little sugar on top of each one and place in hot oven. Bake on top rack in oven for approximately 12 minutes or until golden on top and bottom. Remove biscuits from baking tray and place on cooling rack. Remove hulls from strawberries and slice. Place in bowl with sugar, gently stir and let sit for at least a few minutes, or up to 1 hour, to allow berries to release juices. To make the topping, whip heavy cream until soft peaks form, then gently fold in vanilla and sugar. 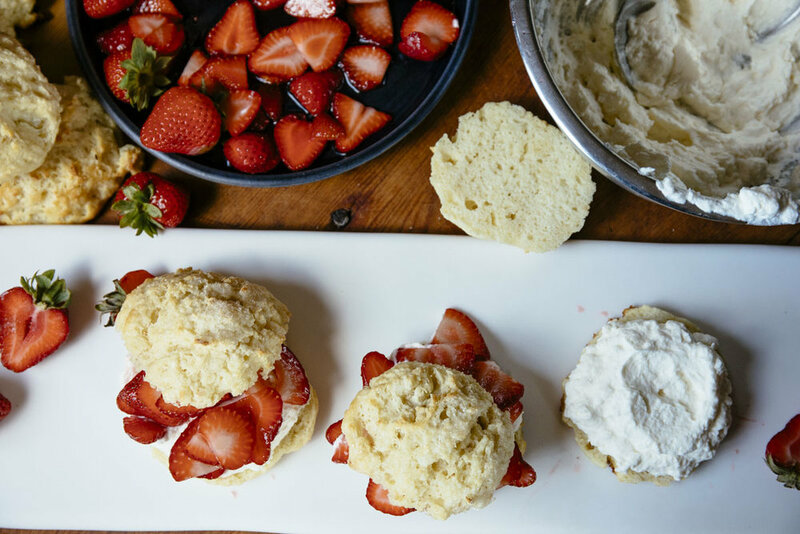 Cut cooled shortcakes in half, top with sliced strawberries (or other berries) and a dollop of whipped cream, then gently place top half of shortcake on top. Serve and enjoy!